"Try having a child murdered by a weapon that you refer to as 'common use.' You will get through this and hug both of your children tonight." 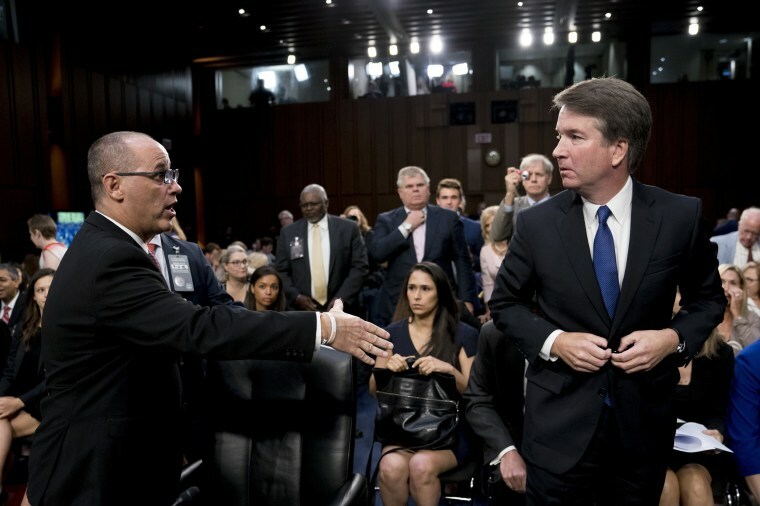 A father of one of the victims of the school massacre in Parkland, Florida, lashed out at Supreme Court nominee Brett Kavanaugh, tweeting early Friday that he was unconvinced by the judge's emotional testimony. Judge Kavanaugh, I listened to you talk of your life being ruined. It is not. I listened to you turn yourself into a victim. You are not. What today showed is that you clearly are a partisan and do not have the temperament for the court. Even worse, you are just a bad person. Fred Guttenberg, whose 14-year-old daughter, Jaime, was killed during the Feb. 14 shooting that left another 16 dead and 17 others injured, remained unsympathetic. "Justice Kavanaugh your life and family are not ruined," he also tweeted. "Try having a child murdered by a weapon that you refer to as 'common use.' You will get through this and hug both of your children tonight." Kavanaugh was called to testify Thursday as part of an allegation that he sexually assaulted Christine Blasey Ford as teenagers in the early 1980s. Kavanaugh repeatedly denied the claim and others, saying the attacks "destroyed my good name." Earlier this month, Guttenberg was rebuffed by Kavanaugh during his first day of Senate confirmation hearings to the Supreme Court. At the time, Guttenberg tweeted that he put his hand out to introduce himself, but Kavanaugh "pulled his hand back, turned his back to me and walked away." The moment was also captured on video and went viral. Kavanaugh later explained that he thought the man was a protester. "I would have shaken his hand, talked to him, and expressed my sympathy. And I would have listened to him," he wrote as part of a larger response answering senators' follow-up questions. Republicans on Friday plan to move ahead with a key committee vote that would pave the way for a full Senate confirmation vote as soon as next week.